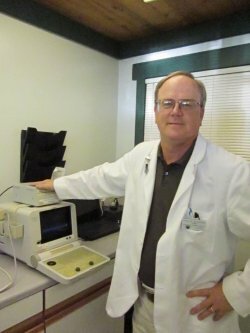 Dr Armstrong has been involved in some facet of veterinary medicine since beginning as a kennel attendant in the late 1960’s while in high school, and progressing over time until graduating from the University of Minnesota, College of Veterinary Medicine in 1982. Since that time he has been involved primarily in private clinical practice as staff veterinarian and clinician, to managing veterinarian, to owner-veterinarian of single doctor to multi doctor practices. His 32 plus years as a veterinarian has been invaluable, as he has helped thousands of animals from pocket pets, to cats and dogs, to farm animals and even wild animals at a rehabilitation and research center in Taif, Saudi Arabia. He strives for a high standard of clinical practice with thorough, hands-on veterinary care in order to provide quality medicine, surgery and ongoing relationships with animal patients and clients over the years. He tries to surround himself and practices with people of similar philosophies, levels of enthusiasm, and abilities. Dr. Dawn Reisinger was born and raised in the Mid-West, then moved to California with her family in 1983. She decided at a young age she wanted to work with animals even though her family had no pets of their own. After graduating from high school she enrolled in the University of California, San Diego where she received a Bachelor’s degree in Animal Physiology and Neuroanatomy. During school, she worked as an animal health technician at the Veterinary Specialty Hospital of San Diego and as a lab technician at the Scripps Institute of Oceanography in the Center for Marine Biotechnology and Biomedicine. While she had a lot of fun working with marine mammals and birds doing open water research studies at Scripps, it was her experience working with the veterinarians that solidified her decision to become a veterinarian. She enrolled at the University of California, Davis veterinary school and graduated in 1998. Immediately following graduation, she entered an intensive 1 year internship program in small animal medicine and surgery at Loomis Basin Veterinary Clinic, in the Sacramento area. After the internship, she was asked to stay on as an associate veterinarian and remained there for the following 7 years, practicing general and emergency medicine. During veterinary school, she married her husband, Lonnie Robinson and began a fulfilling relationship as a part-time mom to his three teenage children and to wonderful grandchildren, who live in Texas. They welcomed a daughter of their own, Caitlin, in 2001 and in 2007 welcomed a son, Conner. Dawn and Lonnie also have 2 dogs, 1 cat, 2 horses and a pony that complete their menagerie. 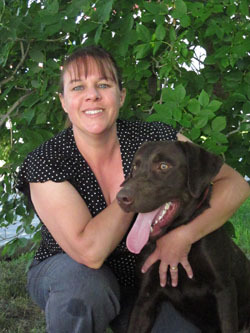 Dawn writes the monthly newsletter for Helena Veterinary Service, Healthy Pets Press. In her spare time, Dawn enjoys horseback riding, photography, and reading.